This website provides access to a collection of mutant strains in the green alga Chlamydomonas reinhardtii, a powerful model system for studying a broad range of fundamental processes including the biology of chloroplasts, photosynthesis, cilia/flagella, eyespots, and algal lipid accumulation. 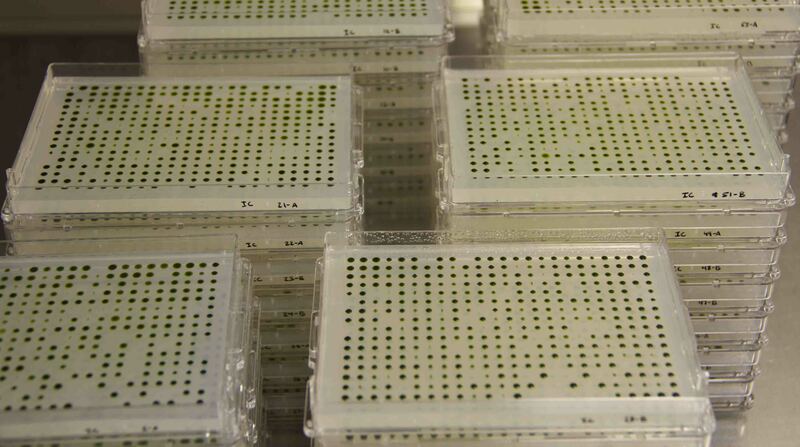 The strains were generated by the Chlamydomonas Library Project (CLiP). Molecular details for each strain or each insertion are included. Strains found on this site can be ordered from the Chlamydomonas Resource Center located at the University of Minnesota. This work is funded by grant #MCB-1146621 from the National Science Foundation. Note: Chlamydomonas strains from the regular Chlamydomonas Resource Center collection are not searchable from this site.